Monochromatic colour schemes have always been popular and suit anything from traditional to Scandinavian looks. Stylist Gem Adams gives us the lowdown on integrating a black and white colour scheme in your own home. Create a feature wall with wallpaper - change your look as often as you like, updating your interior can be this simple. Episode 1 Relax, Wallpaper is Easy: All you need to know to successfully put wallpaper up in your home. Resene Colour Consultant Sarah Gregory delivers a presentation at the Auckland HomeShow in September 2010 on using colour with confidence. 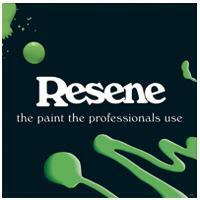 check out http://www.resene.co.nz/homeown/nf_home.htm for lots more inspiration on using colour with confidence in your home.